I have been craving for a burger for a while now and this place was recommended by a friend (@coffeemeow) as it is close to where I live. Decided to come here for a late breakfast one Saturday with Hubby and it was one of the best ‘breakfast’ I have ever had! Big Bite is in North Point, the latest American burger to open here in Hong Kong and located on a street outside the shopping mall, Fit Fort. It’s not a big place, quite small and I can imagine it could get extremely busy at lunch time. We were there relatively early, so it was still quiet and without really perusing the menu closely, I knew I wanted a burger! Just what kind. Everything is made to order, as it should, so its fresh! 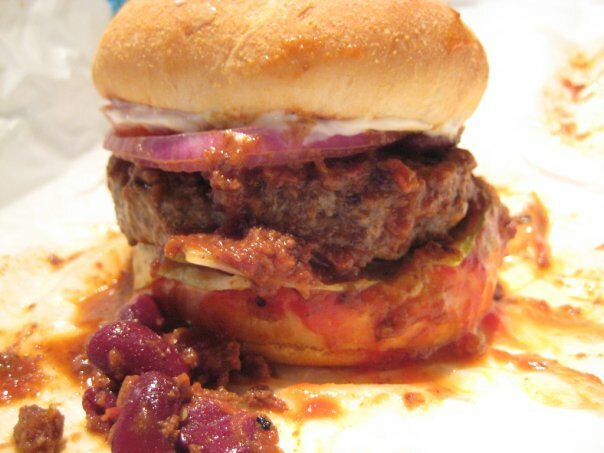 I got the ‘sloppy joe’ – which was burger with chili. I was informed that it will be messy and well… they were right! When I first looked at the burger, my first impression was – WOW, how am I going to fit this in my mouth! Where there is a will, there is a way! The beef was tender and was cooked to perfection! The bun was slightly toasted, it was soft and was served with cheese, tomatoes, onions and chili – this is a must try, an experience on its own! 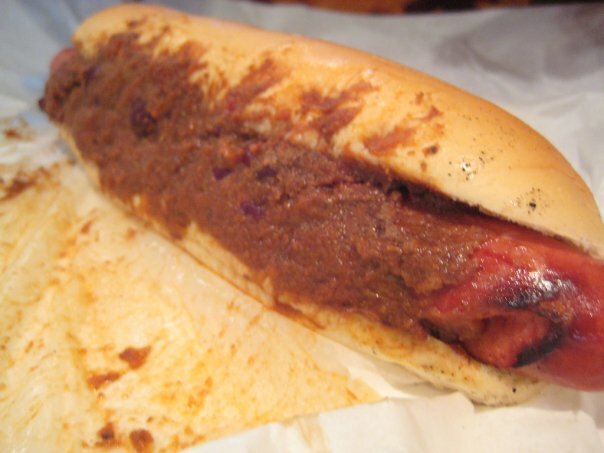 Hubby ordered the Jumbo hotdog with chili. Unfortunately I didn’t enjoy this one as much, Hubby seemed too though. It is, however, one of the better hotdogs I have tried in Hong Kong. 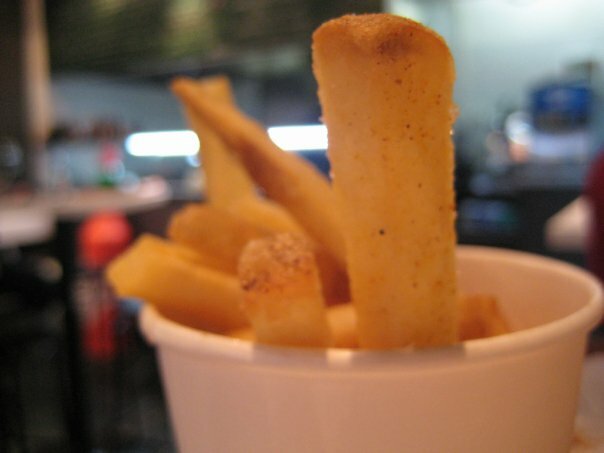 We ordered a side of fries and it was good – crispy on the outside but soft on the inside. I have yet to try other burger joints in Hong Kong, so can’t do much of a comparison! However, I did enjoy it and would definitely be back…I can envisage coming here for a hangover cure! Dangerous!! Burgers look good, but i am skeptical of the fries though. I admint the only places I had fries in HK was Maccas and KFC, they both sucked!! patty good – juicy and moist! will take you!